As soon as the Models Own Polish For Tans collection arrived I knew I had to have them. But I didn’t buy any for some reason, I think I may have been on a spending ban? 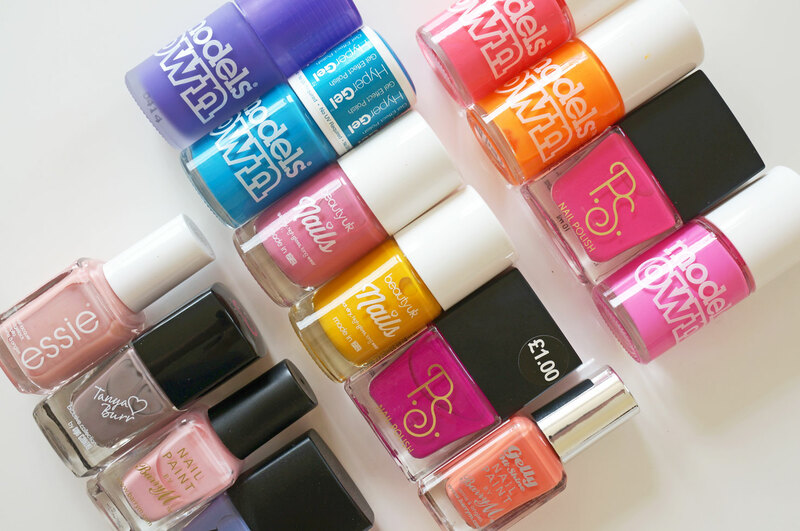 Anyway I was lusting after them for a while then I managed to grab a couple of the polishes from ASOS when they had a 20% off site-wide offer on – result! 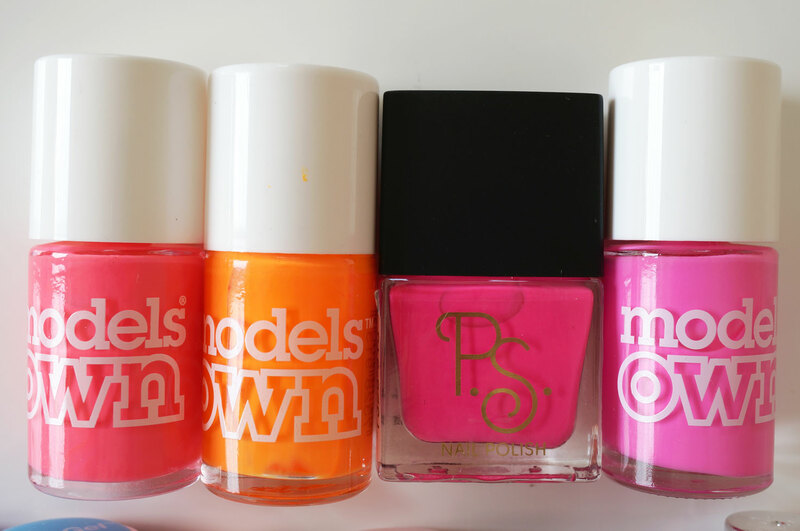 I already had Orange Sorbet, another neon that was released pre Tans collection and I also can’t stop reaching for my Primark polishes too! This un-named polish in neon pink it just the perfect cool-toned neon pink shade. The formula isn’t amazing but it was only £1 so I’m not complaining! If I’m not in the mood for a neon shade I’ll often take one step down the brightness scale and head towards the bright shades in my collection. I have another gorgeous Primark polish in here in an amazing bright Magenta colour, and I’m also a big fan of the Models Own Hyper Gels, especially Blue Glint, it’s such a gorgeous intense blue shade! I have a couple of Beauty UK polishes in here too, I’m especially fond ofDaffodil Delight, it’s such a great colour to put you in a good mood!